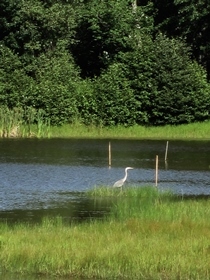 This project involved the acquisition of 313.2 acres of freshwater wetland and buffering uplands within the Caribou Bog Wetland Complex Beginning with Habitat Focus area, a state-significant wetland containing rare plants and dragonflies and an exemplary natural community. At the time of purchase, the property contained the largest remaining unprotected wetland habitat of the domed bog ecoystem of Caribou Bog. In addition, there were two small ponds with water control structures once used for fish farming. The water control structures were removed to allow the ponds to revert to wetland areas. Preservation of the property prevented conversion of the property to development, providing protection Caribou Bog and surrounding wetlands.